Ohio decorative screening panel in natural, unfinished MDF ready for painting in the colour of your choice. 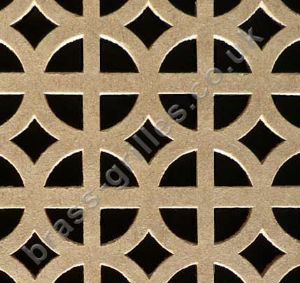 Ohio polished stainless steel decorative metal grille. Sold by the sheet or in cut sizes.